Carnegie Mellon University graduate students are participating in three days of networking and discussions with the top minds in the cybersecurity industry at the 2019 Women in CyberSecurity Conference (WiCys) in downtown Pittsburgh. Students attending the conference come from the College of Engineering, School of Computer Science, Dietrich College of Humanities and Social Sciences, and the Heinz College of Information Systems and Public Policy. They all have the same goals of making the world a safer place — as a chief information security officer such as Susan Vagell, a master's degree student in information security policy and management or drafting public policy such as Vasavi Hejjaji, a master's degree student in information security policy and management, or improving health care access such as Rosana Pineda, a master's degree student in health care policy and management. At WiCyS, the students are networking with female leaders in cybersecurity and making lifelong connections through discussing current problems and the future of the industry. 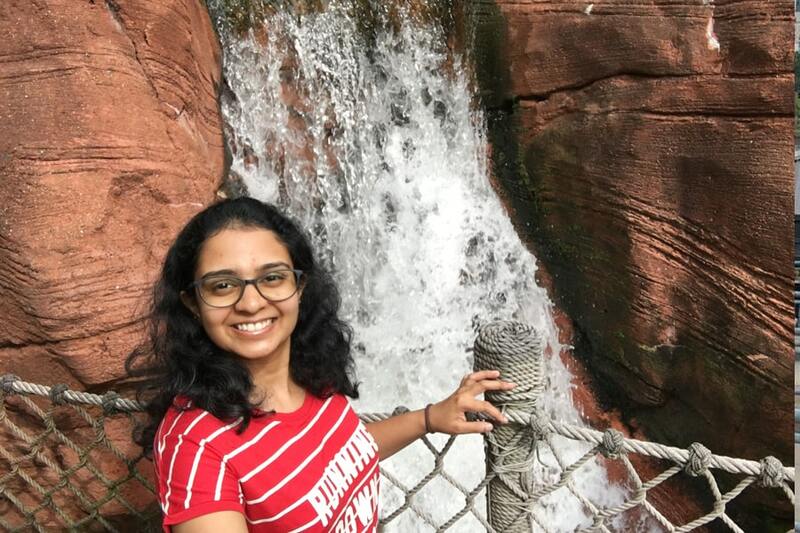 "I am hoping to interact with the top minds in the field, learn from their experiences and expand my knowledge on the latest focuses in cybersecurity through the various talks and panels," said Meenakshy Balachandran, a master's student studying information security at the Information Networking Institute. From working with the U.S. government to working in the electric power industry, these students are inspired to study cybersecurity and learn to effectively prevent cyberattacks, develop applications to avoid terrible events, solve cyber crimes, and form cybersecurity policies. "This field is the place to be when you want to protect the society from the bad guys while staying in touch with the advancements in technology," said Karthika Brakaspathy, also an INI master's degree student in information security. Students often are drawn to security and privacy studies after learning about security issues in everyday technologies that are part of the "Internet of Things" or how cyberattacks can cause disruptions to economies and compromise national security. The field offers challenges in design, computer science and other interdisciplinary areas. "CMU has opened the door to all of the possibilities in the field," said Michaela Webster, a graduate student in information security policy and management. "There are so many people here who want to see you learn and succeed and they want to share their knowledge and experiences with you." Students attending WiCyS have worked on projects that focus on skills such as machine learning, threat hunting, detecting malicious cryptomining and finding security vulnerabilities in commercially available security products. Heather Manganello, a master's degree student in information security policy and management, recently worked on a team project to design a tool for the federal government to use in its negotiations with the European Union over the General Data Protection Regulation legislation. Cori Fakalaris, a second-year doctoral student in the Human-Computer Interaction Institute, is working on a model of how cybersecurity interventions can be tailored according to how ready people are to modify online behaviors. The project aims to design effective ways to "nudge" people into making more secure actions online. Being in the field, students say they have changed their own online habits, and some of those habits have rubbed off on family and friends. Vasavi Hejjaji, a master's degree student in information security policy and management, is one of the many students who study privacy and security at Carnegie Mellon.